FORCES COLLECTION RECEIVES GERMAN DESIGN AWARD! The German Design Awards are the international premier prize awarded by the German Design Council. Its goal: to discover, present, and honour unique trends in design. Every year, high-calibre entries in the fields of product and communication design are honoured, each of which blazes new trails in the international design landscape. The German Design Awards, launched in 2012, are among the most prestigious design competitions worldwide and have an excellent reputation far beyond specialist circles. The FORCES Collection of Magnetic Wallcoverings for Workspaces received a Special Mention award. 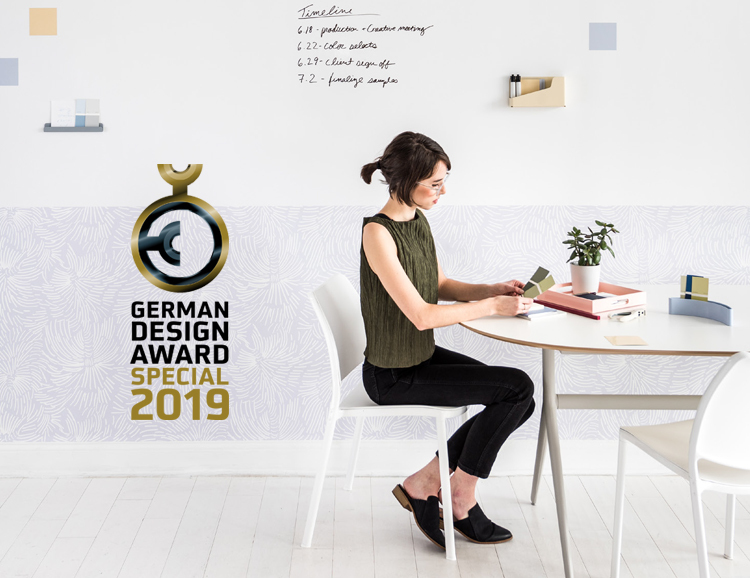 Special Mention awards are given to works with designs that feature particularly successful partial aspects or solutions – these prizes honour the commitment of companies and designers. NATURAL DIMENSIONS IS NAMED A 2018 BEST OF YEAR HONOREE!